This is a 1977 ad for a Buxton Wallets: Patrician Cardmaster, Mark IV Convertible, Montevideo Two-Fold, Tahoe Three-Fold and Park Avenue Belt! The size of the ad is approximately 5.5x8inches. 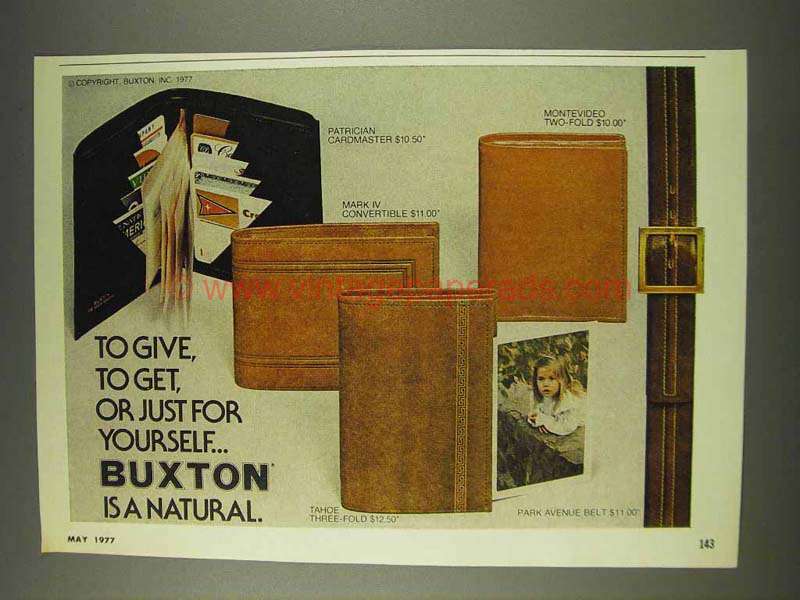 The caption for this ad is 'To give, to get, or just for yourself... Buxton is a natural' The ad is in great condition. This vintage ad would look great framed and displayed! Add it to your collecction today!